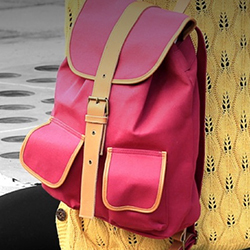 Ambitious goals to address childhood hunger. 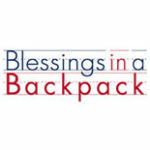 Founded in 2005 at two schools in Louisville, KY, Blessings in a Backpack is a national nonprofit that mobilizes communities, individuals and resources to provide food on the weekends for elementary school children across America who might otherwise go hungry. In 2014, Davidoff was engaged by Blessings’ new CEO to develop and facilitate a custom-designed Mission-Driven process to create a strategic business plan building on Blessings in a Backpack’s growth and accomplishments, and to provide structure and business planning for future stability and growth. As part of its comprehensive, research-based process, Davidoff conducted a current state assessment of the organization’s delivery models in terms of cost and return on investment and conducted extensive primary and secondary research on alternative business models that would support national scalability. In partnership with Blessings’ leadership and board, Davidoff identified organizational goals and objectives related to growth, sustainability, revenue and impact. In addition, Davidoff defined strategies and action steps to achieve those goals. Davidoff designed a process to evaluate existing infrastructure and generated a plan to build the appropriate infrastructure, operations, governance and financial models to support the growth of Blessings. By elevating the leadership and board’s conversations to consider a transformation vision of Blessings’ potential impact in serving as a leader in ending childhood hunger in the United States, Blessings’ leadership agreed to raise its goal from serving 150,000 children to serving 1 million children in ten years. Blessings is now moving forward in implementing the plan, securing funding and exploring strategic partnerships.